Print, paper and design professionals encouraged to share their awesome examples of print and marketing via social media and help CMYK love trend the planet! THE PRINTERVERSE – Print professionals around the world are being encouraged to participate in International Print Day 2015 (#IPD15), a global 24-hour event being held Wednesday, October 14, 2015, in which social media will be used to highlight the creativity, importance and power of print and paper. The theme for this year’s International Print Day is “#PrintNOW.” Along with #IPD15, that hashtag has been designated for all print professionals to use when they share examples of print on social media such as Twitter, LinkedIn, Instagram, Pinterest, Facebook, YouTube and others. Commercial printers, print buyers, paper mills, graphic designers, book publishers, marketers and manufacturers are urged to participate in this global sharing event. “Produced a cool project recently? Used new paper or substrates? Share and tag it! Have new equipment? Wrapped a vehicle? Share and tag it! Designed something spectacular? Saw some spectacular print out in the world? Been to a great print event or tradeshow? Show everyone through pictures, videos and posts and share away!” exclaimed Deborah Corn, Principal at Print Media Centr, and founder of International Print Day. Using the hashtags #IPD15 and #PrintNOW, print professionals and anyone associated with the printing industry are encouraged to flood social media channels with education, facts, and fun stuff related to print and paper. International Print Day 2014 resulted in 8,683 Tweets delivered to 23,023,968 timelines with 1,271 contributors. IPD 2015 organizers expect those numbers to be crushed this year. “#PrintNOW encapsulates the state of the industry and all of the amazing advances in print, paper and marketing technology we are creating and implementing to help customers. 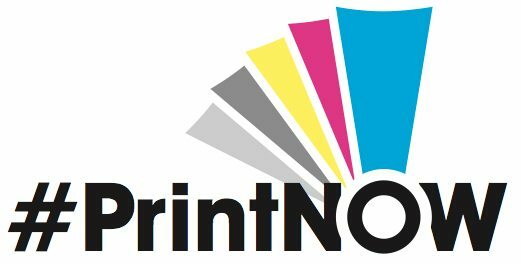 #PrintNOW also serves as a call to action for marketing professionals – and even consumers – to include printed materials in their communications mix,” Corn added. Companies are also encouraged to share information about their related products and services, though a strategic approach is always suggested. International Print Day 2015 is an amazing opportunity for everyone in the print, paper, design and marketing industry to tell the world how they bring value to their customers by sharing their print success stories. Allied Printing (www.alliedprinting.com) created a #PrintNOW logo that can be downloaded from the International Print Day 2015 website. For that, the IPD15 logo and more information about International Print Day 2015, please visit www.internationalprintday.org. This blog post not only gets you excited for #IPD15, but gives great ideas on how to celebrate it. Thank you, Deborah!